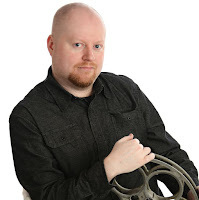 From the first moment that movie criticism awakened these youthful senses, Gene Siskel and Roger Ebert have been at the driver’s seat of my creative aspirations. In life, they took on an almost mystical essence as figureheads of a quiet destiny; while they years have chugged along, the remains of their influence reverberate with the kind of astounding richness that settles within, and adds drive to an evolving perspective. That their careers – and their interactions – now remain frozen in a stasis of countless YouTube videos and ongoing personal discussions is as inspiring as it is haunting, and for nearly every week of my adult life I have ventured into their world for more thoughtful insight. That world seems much smaller now that their guidance in informing our future has been silenced by mortality, and yet they remain a symbol of the enduring work ethic of movie journalists. How they did it for so long, and so tirelessly, is a prospect few of us can begin to comprehend, much less compete with. The end result yielded an unhappy kid for a few days, but in the fallout, those two critics – the “fat one” and the “opinionated one,” as they were referred to– continued to possess an allure. When I could, I would sneak away from dinner or from parental-enforced slumber to catch a few glimpses of their weekly syndicated television show. In those days, there were only two attempts to catch the material: either at 6:35 on Saturday evenings, or in the wee hours of Sunday night, which were usually reserved for sleeping in preparation for returning to school on Monday (summers offered less intrusive opportunities). In those exchanges of the early 90s, when my world was still very much about video games and comic books, I didn’t entirely grasp what they were talking about; they were clearly from an adult world of sophisticated dialogue and euphemisms, and half of the material they covered was out of league with the kiddy-friendly indulgences that were all the rage with my age group. In those days, I was actually a fan of things like “Home Alone” and “Teenage Mutant Ninja Turtles,” which were the kinds of disposable yarns easily dismissed by the critics. No one could dispute or challenge that reality. Because your tastes are often exercised by your perceptions of what a medium is supposed to be, movies then were no more than just voluntary escapism: fantasies meant to project our silly little desires for heroism. As you age, of course, those projections start to take on more thoughtful connotations. That all began to happen just as my own exposure to the more extreme corners of the cinema came to the surface. “Schindler’s List,” a movie that was required viewing by my mother upon its VHS release in 1994, was the watershed moment in making that transition to full-fledged realization; movies were no longer just the embodiment of youthful imaginations, they were also responsible for paying the history of human existence forward, and often with brutal honesty. In a time where the mind was enraptured by the concept of big-budgeted adventures and action blockbusters, Siskel and Ebert were the champions of human stories. Many others agreed, but few had their reach of influence; it was as if the medium of television, moreso than print or radio, had the capability of affecting the trends of moviegoers and filmmakers, who often dismissed the claims of critics and yet took them seriously enough to affect how they looked at things (however subconsciously). But it would also be unfair to say that either man was relevant simply based on the fact that they were broadcasted into millions of homes. Exposure comes with accessibility, but endurance is earned through wisdom and insight. Each of them brought a distinct variety to the table on a weekly basis for almost 25 years; Roger was clearly the most in tune with visions and ideas, while Gene typically felt a commodity with films that spoke to the psychology of our existence. It was a winning combination of values, heightened by the awareness that one could never predict exactly when they would disagree, or just how severe an argument might get based on their stubborn knack for always being right. And when a movie came along that both of them detested, there was almost a vengeful delight in their ability to trash such rotten work. I didn’t always understand how someone could simply dismiss another person’s endeavor with such biting vitriol, but time and experience brings us often to the footsteps of some deplorable motion pictures, and after sitting through enough of them it’s no wonder patience is so easily lost. I was not old enough to remember – or even see – some of their greatest disagreements, but they endure as little relics in the age of digital streaming. When they reviewed “Full Metal Jacket,” Gene was adamant that it was in a class of near-classic war pictures; Roger, unfortunately, saw it as shapeless and disappointing. Their exchange on air began with polite discord, but when they continued to argue over the closing credits there was a moment of such overpowering frustration that they both resembled gorillas pounding their chest over contested territory. Similar occurred when they came to blows over David Lynch’s controversial “Blue Velvet,” and one of the classic Ebert euphemisms – “you should be embarrassed for yourself” – came from a disagreement over the obscure “Lambada,” about a Latin dance craze that somehow never took off in pop culture. It didn’t exactly matter what kind of film it was; if there was an opportunity for argument, there was always passion trickling from their tongues – some of it bitchy, most of it rich in conviction. The public perception was that they hated each other, a rumor that they did their best to indulge in. That went as far as calculated arguments on interviews with talk show hosts on late night television to exchanges on public radio. Some of the most revered of those encounters occurred on the Howard Stern show; they not only had to contend with verbal jabs from one another, but also from their host, whose skill has always been in creating exciting interview atmospheres. Why did they bother? Because their entire working relationship had been built on an underlying rivalry in print, and like brothers they kept up the illusion that there was disgust because they thrived on the arguments, treasured the banter and grew to respect one another through the stamina of their counterpoints. They were fiercely loyal off the screen as well as on, and with few words the most perceptive of onlookers could detect that most of their discussions were simply displays of that mutual passion. By the time that their show became essential viewing in my early days as writer, however, things began changing. It was the spring of 1998 when we first noticed that Gene seemed frail and slower with his words. Roger probably suspected as much too; his push-back seemed curiously sterile, as if he was sparing his work partner some unnecessary energy. When news broke that Gene was going in for a medical procedure, not many of us were at all surprised; our observations in those months supported the claims that he was sick. But we didn’t exactly know how grave they were, either. 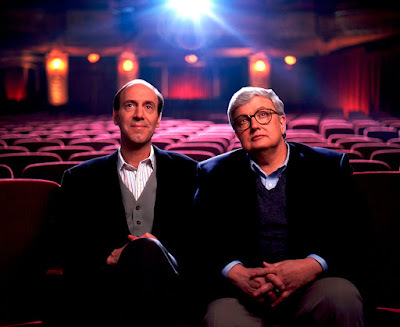 For another seven months Siskel sat there in the balcony, and he and Roger continued to spar over the week’s newest movies with all the depth and detail of great thinkers. But he was clearly in pain. The words became slower, the eyes more glassy. He never went public with his true diagnosis, the reality was that he was dying of terminal brain cancer, and probably suffering immensely during the whole ordeal. The irony is that no one on set dared to inquire or offer support. Gene never complained, and would have never asked for help. And just as many of those who loved him were taking quiet notice, so did we continue to nod our heads in admiration at his remarkable endurance. He died a couple weeks after his final show with Roger in early ‘99, but the shock of the news was muted by our acknowledgment of his unwavering professionalism. What a man he must have been, and how gifted we were to have him as part of a cultural zeitgeist that would change the way we all would look at the movies. Though television has long passed the days when open discussion about film is seen as a hot commodity, the influence of “Siskel & Ebert” as a show does, at least, still resonate. Without it, would Roger have been able to carry on with his off-shoot with Richard Roeper? Would Leonard Maltin have been able to partake in a similar venture on public access with some of his own debate partners? Would participators in the internet revolution been inspired enough to replicate the format in self-made shows on YouTube, or successful podcasts on iTunes? Everywhere we turn in the new medium, someone, somewhere, is arguing with passion about films, both new and old. Some of them are just ambitious amateurs, others seasoned by their own distinct style. Gene didn’t last long enough in this world to see some of the reverb effects of this all, but how fortunate we are that Roger did. Towards the end of his life – when he was sick, disfigured and barely hanging on – the loving gestures of his students must have been so comforting in an hour of uncertainty. Knowing you can leave behind a piece of your soul to educate future generations is the greatest test of the human existence, and what both of these men gave – separately and together – is like treasure to a keen mind. I will forever be one of their most thankful students.